Today morning, Balaswamy Goud went with few farmers to Hetero drugs Company to ask labour work for displaced farmers. He argued with management and joined few people too, by evening, SEZ lords have shown their colors. How can any one question SEZ lords? We were also told that the GREAT Chief Minister is going to inaugurate Aurabindo and Hetero drugs companies on 17th of July, this could be one of the reason to clear the ground before our KING ‘RAJASEKHAR REDDY’ arrives. Every one knows that, Congress is waiting to take revenge on Polepally as they lost both Assembly and Parliament seats, even after spending crores of rupees. They also had to face lot of crisis due to Polepally farmers struggles. From the beginning Polepally has become a tough nut to crack for congress, it has shown its strength twice in electoral politics (by-elections and main elections-2009) unlike other SEZs in Kakinada, where they won with majority this time. Recently they have arrested three dalit women farmers in a false case, later they have registered a case against 6 farmers of polepally. Even Sub inspector of police does not know the details of, what and why that case was filed. Displaced tired farmers are in need of people’s support, they are not only raising voice to save their own land, life but also giving call to save entire region and farmers lives. They are redefining the ‘development’, questioning policy makers every time about their lives and livelihoods. If not now, never ! We have to forget movements and become silent spectators. Like always our media reporters are helping by reporting the incidents. It’s being covered in all (telugu) TV channels as ‘murder attempt on polepally sarpanch‘ thanks to those who are not only reporting news upto date but also become real activists in this struggle, especially in this commercial media world. Hope you will all support this cause in whatever way you can! 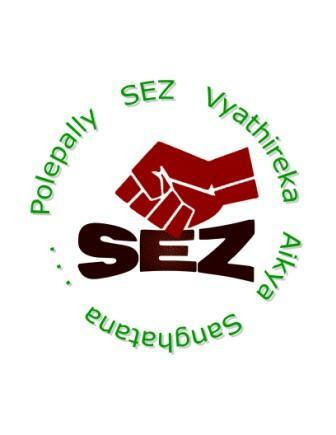 In solidarity with SEZ victims! “Why don’t they Talk about the polepally issue at TANA..meetings…he is villege guy…was attacked by the SEZ Loards…con’t we …condemn???? సీతారాములు గారు, మీరు చాలా కాలం తరువాత ఆన్లైన్ లో కనిపించారు. నేను కూడా నా బ్లాగ్ మళ్ళీ తెరిచాను. send your mail id seetaramulu@gmail.com.